These would have to go down as one of the best beef burgers I have EVER made! I know, big call but true. I have to admit these tasted ahhhhhmazing! Mix all ingredients together and roll into balls, press down on hot BBQ plate until golden brown. 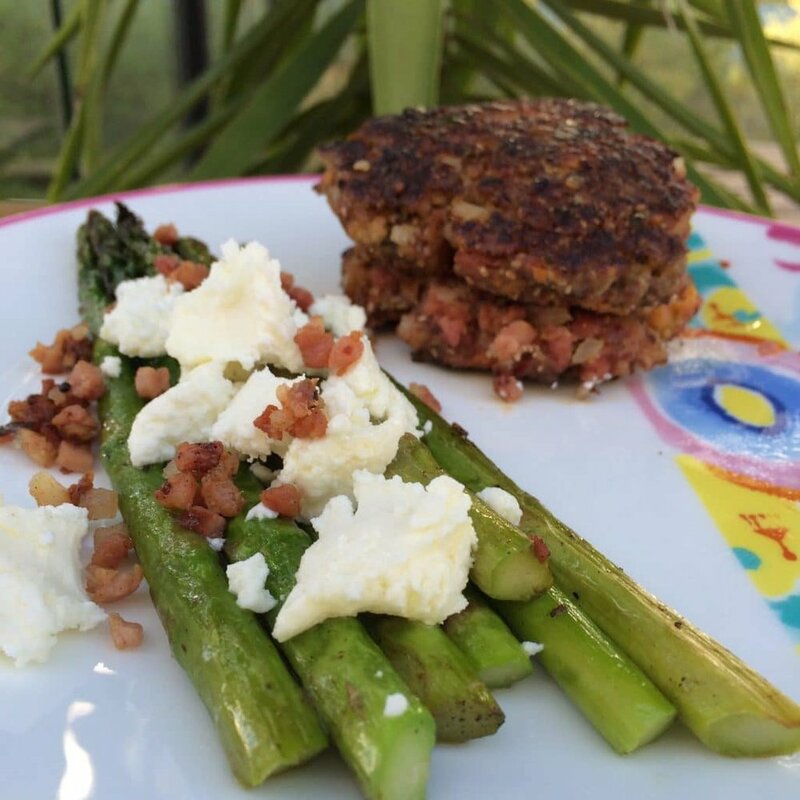 Serve on a bed of asparagus with bacon and crumbled feta cheese. Today I have planned a walk around Lake Wendouree - 6km. Followed by a 15 minute resistance workout with lunges, squats and heel kicks. It's great to know you have the body weight to make your own gym exercises wherever you are. I am feeling a little run down lately with the BIG move and going to sleep quite late and then getting up early with the kids. My body is telling me to slow down and also to hydrate, I am running around like a mad woman throughout the day. That's why I love YOUapp which gives me 1 minute to do a micro change to better my day. This weeks action is all about MORNING GLORY and how we set the tone for our day. Therefore we can make one of our morning routines different to any other day. So mine is sitting out on my deck for 1 minute each day this week, to appreciate beauty is all around and even though our days seems so rushed..... we really need to take time and chillax and absorb our surroundings. I am thrilled to host another MOVE action this weekend with the guys so please download your FREE app and come join us.